The French Open tournament just wrapped up and many of you may be watching/ playing tennis on clay during this time of the year. Clay court tennis involves having solid endurance and strong legs in order to meet the physical requirements that frequently occur while playing on this surface. There are different types of clay courts (red and green clay) and both tend to be substantially slower than other surfaces resulting in slower rallies, lengthy points, and longer matches. While playing tennis on clay one must also be prepared mentally for the challenges of long point play and feeling positive and strong can go a long way when experiencing a close match on clay. Utilizing the capabilities of the Total Gym to build endurance and progress footwork is a great way to increase strength and stamina needed during a clay court match. With a neutral spine continue to bend knees while squatting and drive your arms up and down by sides at the same time. Add some challenge by performing a unilateral squat while lifting only one leg at a time and keeping one foot on the squat stand. Begin with the right foot slightly positioned higher than the left on the squat stand. Rapidly press the feet with force into the squat stand to accelerate up the rails in a jumping manner while moving arms by sides. This should feel as if you are jogging in place while lying on the glideboard. Add some variation by taking the stance out wide then bring the feet back to the middle. Place the balls of feet towards bottom of squat stand with heels suspended under bottom edge. Slowly lie back, ensuring head is fully supported on the glideboard. Lower heels below squat stand until mild stretch is felt in the lower leg muscles. Press balls of feet into the squat stand, raising heels as high as possible. Pause at top of movement before returning to the stretch position. Add variation by pointing the toes in and then point the toes out. Increase challenge by performing a unilateral heel raise while lifting only one heel at a time and keeping one foot on the squat stand. With the squat stand removed stand behind the lower rail base, facing away from the tower. Place the foot that is closest to lower rail base on bottom edge of the glideboard. 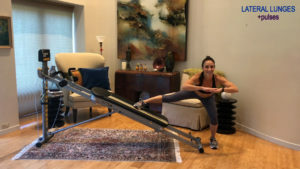 Push the glideboard up the rails while performing a single leg squat with the stationary leg. Once mild stretch is felt in your inner resting leg, bring the glideboard back down rails by pressing active leg into upright position. Keep the grounded hip, knee and foot in good alignment with the positioned over the foot throughout the movement. Maintain a slow temp during the movement. 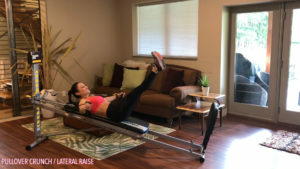 Raise and lower the glideboard in a controlled manner. Use caution throughout the exercise, beginners may need assistance or spotting when first performing the movement. Perform two sets of ten to twelve reps on each leg with a short break in between. With the cable pulley attached grab handles to bring the glideboard halfway up the rails. Straddle the rails and sit towards the top edge of the glideboard, facing the tower. With tension in the cables, extend arms directly toward the pulleys and lift feet off the floor. With tension in cables, extend arms directly toward pulleys with palms facing up. Lift feet from floor. 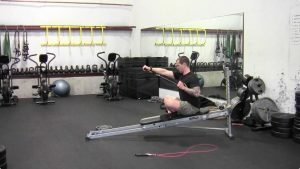 To add challenge transition to a kneeling position and perform the same exercise. For variation try the static equilibrium movement by curling the handles up towards shoulders, keeping elbows stationary. Maintain stable trunk as hands return with control back to the starting position. Perform two sets of ten to twelve reps for each exercise with a short break in between. With tension in cables, left feet off the floor, pull elbows into sides of torso and slightly hinge forward at the hips. Keeping elbows stationary, press handles down until arms are fully extended next to thighs. Maintain elbow and spine position as hands return with control back to starting position. Straddle the rails and sit towards the top edge of the glideboard, away from the tower. Position handles next to rib cage with cables on the inside of the forearm. With tension in cables, position legs on glideboard with knees slightly bent. Bring handles and elbows up to chest height with palms facing down. From an upright seated position, press handles forward at chest height. Maintain stable trunk as hands return with control back to starting position. 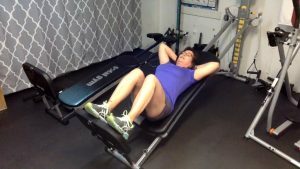 Add variation in challenge by performing a unilateral, incline, and decline chest press. After playing tennis on clay with potentially a number of long points, I can’t emphasize enough how important it is to stretch after a match. After discussing the physical fitness that clay court tennis involves, staying fit and flexible are two important elements for the long run. 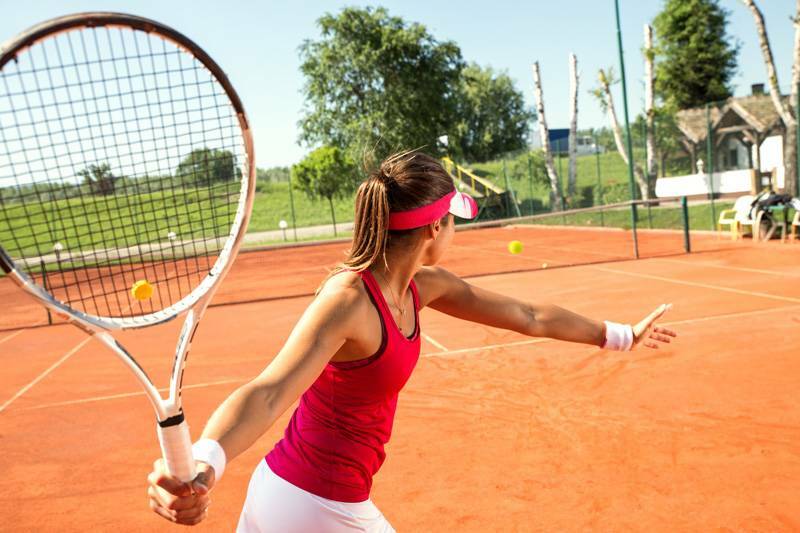 The recommended Total Gym exercises for clay court tennis can assist in keeping the body strong, healthy, and prepared for long matches on the court. Stay hydrated, wear proper clothing/shoes, and go out and have some fun on the clay.